The conclusion of a PowerPoint presentation needs to be powerful, whether it is a formal or informal presentation. If you are making a presentation for potential clients, you are bound to need a slide that sums up the entire presentation, and can lead them to you. Nothing can do that better than a roadmap visually directing them to your office! 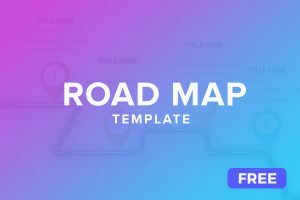 With the help of these free Roadmap PowerPoint templates, you get access to numerous different styles of roadmap slides that you can add at the end of your presentations. This is especially helpful if you are planning on giving handouts to your audience at the end. So download these free Roadmap PowerPoint Templates now, and get the most powerful and pleasing conclusions to your presentations!